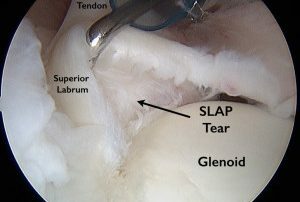 SLAP is short for Superior Labrum from Anterior (front) to Posterior (back). 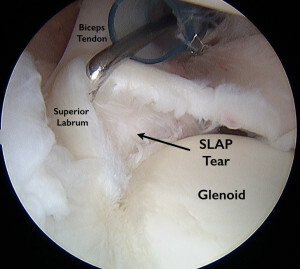 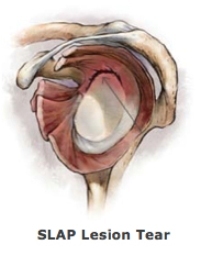 This type of labral tear is usually seen in overhead throwing athletes such as baseball players and tennis players. 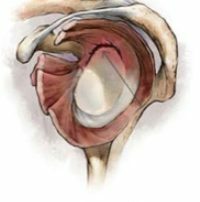 An injury to this part of the body typically happens due to overuse, trauma, and accidents such as falling onto an outstretched hand.